Whether you have a brand new out of the package SD card, or you just found one inside the couch cushions, to ensure that you don't lose any information stored on there you'll need to format it. Formatting your SD card for Mac will mean that when data is written to the card, your Mac will then be able to read it. This gets very important when you consider that not every computer can read every file format. 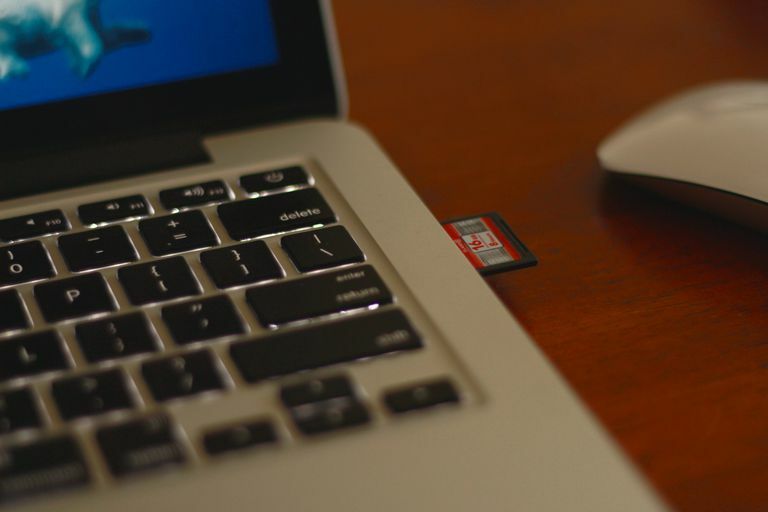 To format your SD card, all you need is your Macbook, an SD card, and a card reader. Some folks may find that their Macbook has an SD slot, in which case you can forego needing a card reader. Before formatting your SD card, you'll want to pull any images or files off of the card because it will disappear after you have finished the reformatting process. Once you have formatted or erased a SD card any information on the card will be wiped. There is no undo, and no way to retrieve erased data! Open the Applications folder from a Finder window. Scroll down and open the Utility folder. Find and click on your SD card on the left side of the screen. Unless you have specifically named it, it will probably display as UNNAMED or NO NAME. Be sure you are looking under the External area on the left. Click Erase. It's located at the top of the screen, in between partition and restore. Choose a new format from the pop up menu. At this time you can also rename the SD card to whatever you'd prefer. OS X Extended (Journaled) is the default (and most common) Mac file system choice. Click Erase to erase and reformat your SD card.